The former Barcelona star has given his prediction for the big clash. Barcelona and Brazil legend Ronaldinho has given his prediction on the Champions League quarter-final second leg clash between his former club and Manchester United. Manchester United travel to the Camp Nou with a deficit after losing the opening leg 1-0 at Old Trafford to the Catalan giants, who are overwhelming favourites to progress to the semi-finals. It must be recalled, however, that the Red Devils did pull off a miraculous comeback in their Round of 16 second leg fixture against Ligue 1 giants Paris Saint-Germain last month. Ole Gunnar Solskjaer's men famously overturned their two-goal deficit to book a place for themselves in the quarter-finals of the competition. As it stands, United need a victory with at least a two-goal margin if they wish to progress to the semi-finals of the Champions League. 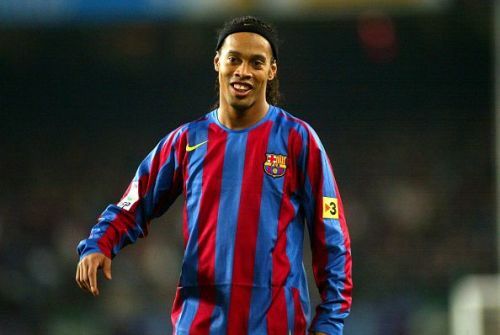 Ronaldinho has opined that Barcelona will overcome United but it all depends on who scores the first goal. "The truth is that Barcelona should have finished the game in Manchester - but at just 1-0 Manchester United will still believe that they are in this tie. “I see them even winning comfortably in Barcelona. It will all be on the first goal. If Barcelona score it then it will be a long evening for Manchester United. "But if they (United) can score the first goal then it's going to make the stadium nervous - and you never know what can happen then." You can catch the highly-anticipated game between the two European giants tonight at 12.30AM (IST).